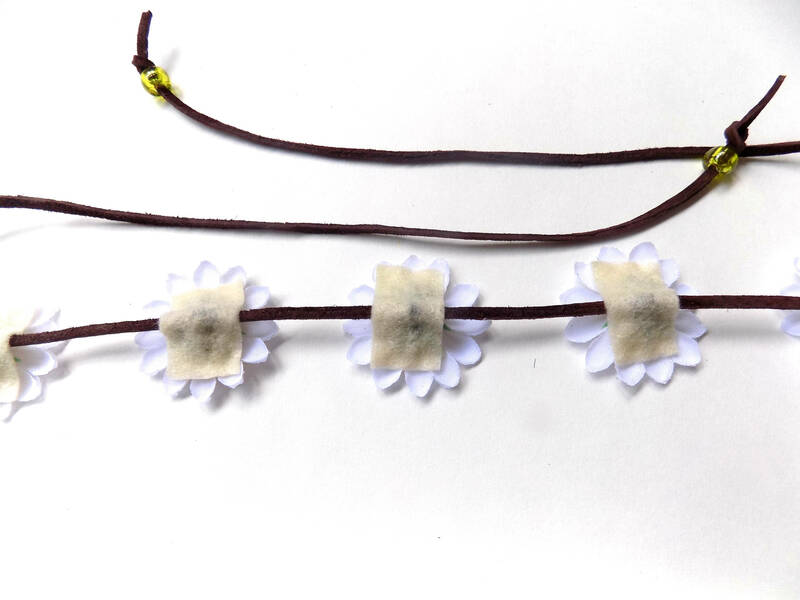 A simple leather headband is adorned with seven white daisies. Flowers are fastened securely and are backed with felt for comfort. Headband is adjustable and ties in the back. So cute! 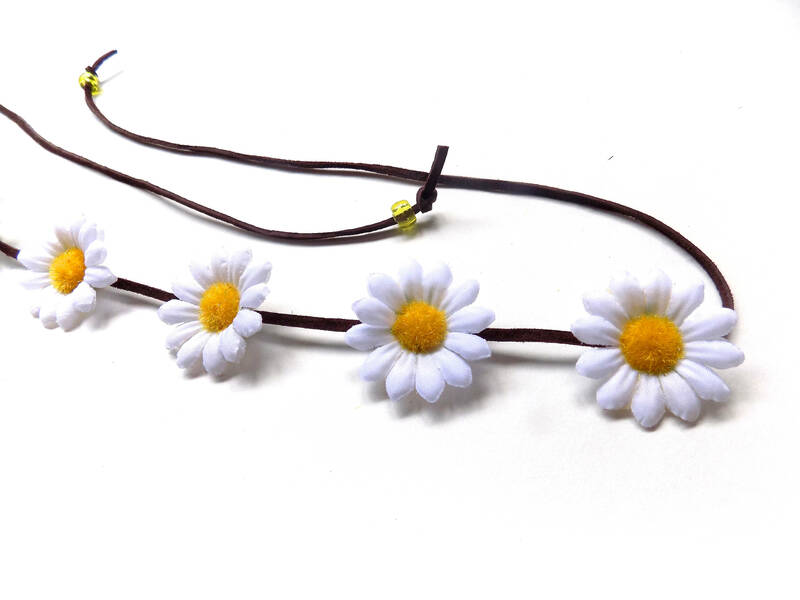 --Ends of headband are finished with small plastic pony beads; please note these headbands are made to order and bead color can vary. More colors available! See my other listings. Arrived in time and seems well made. 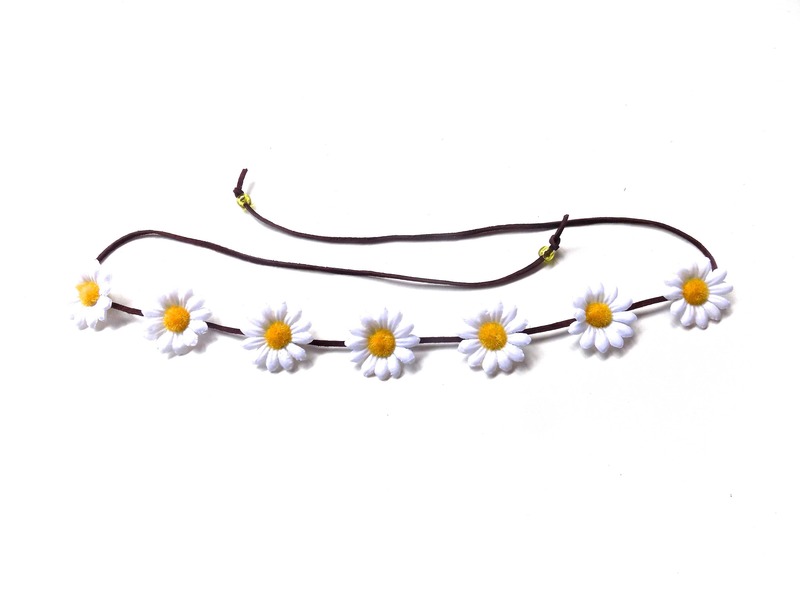 Beautiful headband! Terrific communication with the seller! Thank you so much!